Dubai: A total of 105,809 residence visa violators applied for amnesty in Dubai and 1,212 were from war-torn countries, a top official said on Wednesday. Al Aweer and Amer centres in Dubai provided amnesty against fines and changed the status of illegal residents to legal as part of a UAE-wide amnesty from August 1 to December 31. According to official figures, 18,530 people renewed their visas and 6,288 people got new residency visas. GDRFA Dubai also said that 50 million passengers used airports in 2018 and 2.5 million travellers crossed land ports and borders. “We have more than 15,000 passengers per day using smart gates and tunnels. We will have more smart projects in the future to ease travel movement at airports,” he added. Major General Al Merri also said the transition to electronic platforms is part of the directorate’s efforts to develop digital services for the convenience of customers. He added that the directorate handled millions of applications last year, including 1.1 million new residency visas and 13.2 million entry permits for company employees. More than 891 Emirati employees in 61 Amer centres in Dubai, handled 1.7 million applications in 2018. “We have many Emiratis working at Amer centres in a step to encourage Emiratisation in those centres. Anyone who has any inquiry can call the hotline around the clock,” added Al Merri. Amer call centres (8005111) received 1.6 million calls last year for different enquiries. Called ‘Protect Yourself via Rectifying Your Status’, the UAE Government’s Amnesty initiative began on August 1 last year to allow expats violating the residency law a three-month grace period till October 31 to either leave the country voluntarily without prosecution, or rectify their legal status by paying a fee. The initiative was subsequently extended until December 31. 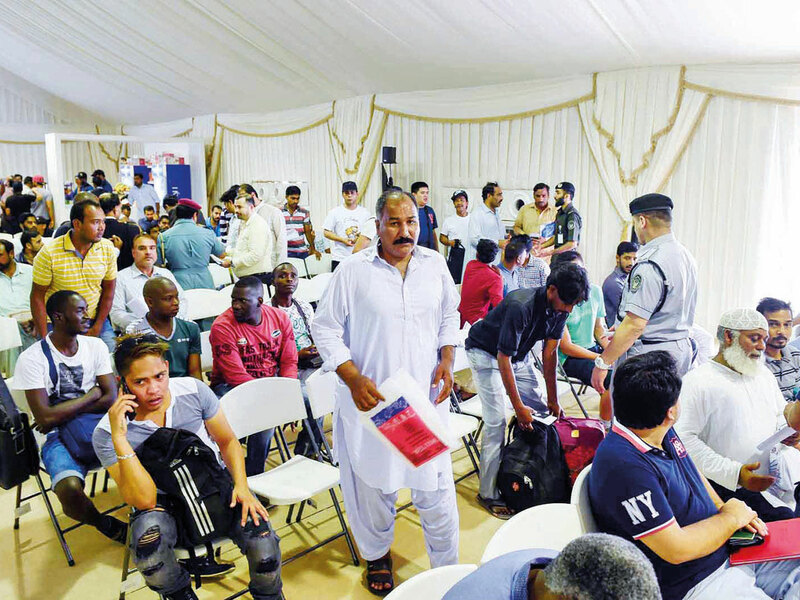 Nine immigration centres were set up across the emirates to facilitate the process. Unlike earlier amnesties, last year’s initiative did not impose a ban on those who left the UAE on exit passes. Even those who fled from their sponsors could leave the country without getting a ban. But illegal residents who entered the UAE through unauthorised ports or means, who were allowed to exit, can re-enter legally only after two years.